Women continue to earn less than men in nearly all occupations, but this is more pronounced in fields that predominantly employ men and in professions with a comparable mix of men and women. The largest pay gap is within the finance and sales professions. "Pharmacists boast one of the lowest pay gaps between men and women." The data highlighted above comes from a recently released detailed table from the American Community Survey. It looks at the gender pay gap for more than 300 occupations. Several health professions, such as physicians and surgeons, nurse anesthetists, and dentists, are among the highest-paying occupations for women. 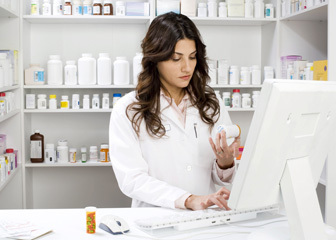 Pharmacists boast one of the lowest pay gaps between men and women. Full-time, year-round female pharmacists earned 97 cents for every dollar male pharmacists earned. Other professions, including finance and sales, show the largest wage gap between men and women. Amy Newcomb is a public affairs specialist at the Census Bureau.